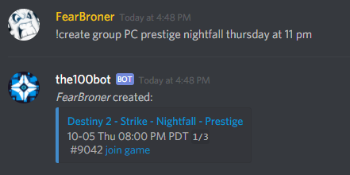 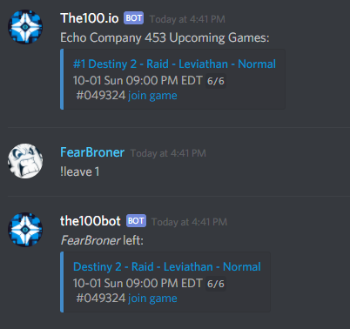 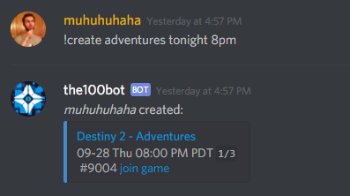 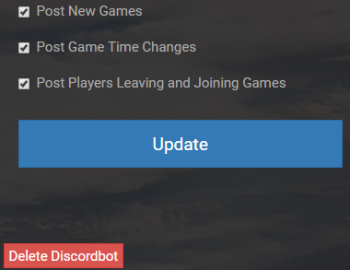 Looking for the best Destiny 2 Discord Bot? 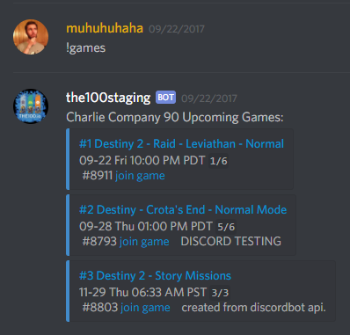 Link your The100.io Destiny 2 group and view, join or leave Destiny 2 games, create games, manage Destiny 2 lfg sessions, and more. 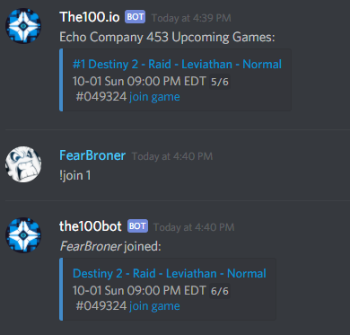 !create Destiny 2 raid tomorrow at 5pm "this is my awesome description"
!create Destiny 2 raid next saturday at 4pm "lets see what we can find out there"